In the 19th century the Notre-Dame-de-Bon-Secours Chapel in Montreal’s Old Port became a mecca for sailors who would make offerings for “good help” for sea voyages. It still functions as an active cathedral in Old Montreal and come this upcoming weekend I hope to make my own pilgrimage to it. 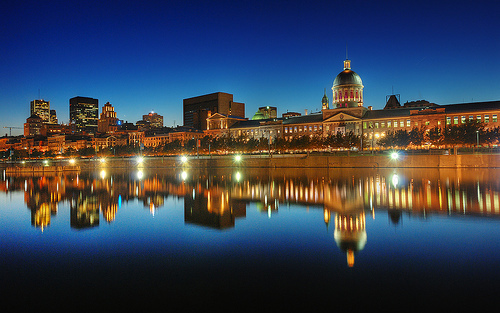 My girlfriend and I will be traveling to Montreal and Quebec City for a calm end-of-summer sojourn. Before I leave, though, I must highlight my favorite song related to Montreal – “Suzanne” by Leonard Cohen. Cohen, a Montreal native, has accomplished a rare feat in his career – awards in both songwriting and literature. The daedal wordsmith has been crafting poetry and music since the late 1950s. He is the Da Vinci of Folk music – a renaissance man who rivals Bob Dylan and Paul Simon in talent and inventiveness. I bolded the particular section that always gets me. The imagery portrayed by the opening line of the bolded section is perhaps the strongest in the song, a line that balances personification and metaphor. One almost feels that Cohen, like the heroes and children, will lean out for love forever. The song ends with the motif of travel represented in the repeated closing verse segments, and, as the verse before this suggests, Suzanne maintains a Jesus-like power of trust and perfection – platonic or not, this song rings with passion and love.